Artificial intelligence and machine-learning will be the biggest disrupters in the health care industry, forcing a major shift in how companies innovate and operate, offering physicians unprecedented tools to diagnose and treat patients to improve outcomes and connecting patients like never before through consumer-driven devices. This feature takes a close look at how smaller companies and giants like Abbott, as well as national health care systems, are leveraging the power of AI to expedite innovation and product development in diabetes and other diseases. It highlights some of the latest studies that show how AI is being harnessed to improve imaging analytics, predict hard-to-find risk factors for heart disease and detect cancer, and discusses the critical role tech giants such as IBM, Google and Amazon continue to play in this space. While technology companies have long tapped into the potential of machine-learning and artificial intelligence to develop smarter, better and cheaper gadgets, a growing wave of health care companies are now starting to take advantage of big data to try to create better outcomes and drive change. One of the key areas in medicine where data analytics is expected to make a significant contribution is in diabetes. Diabetes is a global epidemic and the most expensive disease in the world, costing the US alone more than $245bn a year in lost wages, according to the Centers for Disease Control and Prevention. It affects millions of people worldwide and their numbers continue to rise, which makes it a lucrative disease for companies and entrepreneurs to explore. The data-intensive nature of diabetes care and management also makes it a great fit for applying machine learning and AI to find better solutions and improve outcomes, said Joel Goldsmith, senior director Digital Platforms Abbott Diabetes Care Inc., during an interview with Medtech Insight at the recent American Diabetes Association annual conference in San Diego. Abbott is one of several medtech companies exploring the use of computers to try to develop ever-more sophisticated algorithms that can analyze data that will ultimately help doctors and patients improve treatment plans. In this article, we'll discuss how Abbott and other diabetes companies are applying AI and machine-learning techniques, look at other areas in medicine where machines learning is driving change, and discuss some of the major issues and challenges surrounding this trendy area (Also see "Advent Of Artificial Pancreas Tech To Galvanize Fast-Growing Diabetes Market" - Medtech Insight, 26 Apr, 2017.). At Abbott, Goldsmith led the team that developed the FreeStyleLibre system, which consists of a small, disposable sensor that is placed under the skin and worn on the back of the arm for 14 days, and a handheld device, called FreeStyle Libre reader, that allows users to scan the sensor to instantly obtain current glucose levels and historical patterns and trends. The factory-calibrated device requires no finger pricks for calibration, which gives it a competitive edge. Recently approved in Canada, the FreeStyle Libre system is already sold in more than 37 countries outside of the US and used by more than 300,000 people. Abbott hopes to win approval in the US. Europeans, meanwhile, also have access to the LibreLink, a mobile app that enables a compatible Android phone to scan the FreeStyle Libre sensor, and the LibreLinkUp, an app that allows caregivers to receive notifications when a user scans the sensor. When the company introduced its device in Europe, it also asked patients who are scanning their sensors, if they would allow Abbott access to their data through a cloud-based service to help guide treatment decisions. To date, more than 50,000 people who used the system from 2014 and 2016 granted Abbott access, yielding more than 409.4m glucose measurements, 86.4m monitoring hours and 63.8m scans, Abbott said. Goldsmith sees the future of diabetes management moving from scripts to sensors, from proprietary devices to consumer devices and from desktop to cloud-based-services. Now that the problem of acquiring data painlessly and effortlessly has been solved, he said, the next step will be to translate the data into different visualization formats to help doctors and patients develop better treatment plans. "That’s where we're at today," Goldsmith told Medtech Insight. "Where we're edging into is we'll take advantage of machine-learning and AI going beyond simply translating data into actionable information and really adding elements of guided interpretation, which then leads to things like predictive analytics and ultimately to prescriptive analytics." "Where we're edging into is we'll take advantage of machine-learning and AI going beyond simply translating data into actionable information and really adding elements of guided interpretation, which then leads to things like predictive analytics and ultimately to prescriptive analytics," Goldsmith said. Though still in its infancy, Goldsmith foresees that this next phase of innovation will enable advancements in diabetes care to progress at a much faster pace than in the past. One of the reasons for the faster pace is that there are a growing number of companies focusing on this area. And health care companies don't need to have the technological capabilities in-house to benefit from AI, Goldsmith said. "There are a lot of other categories outside of life sciences, certainly outside of diabetes, where we're seeing progress being made in this area, and we're going to be able to take advantage of those advancements just like we're able to take advantage of the advancements of smart phones, Goldsmith said. "Smart phones weren't invented for health care, they weren't invented for diabetes, but it's a mass market tool that's completely pervasive now, that is an enabler for advanced forms of diabetes care. We're going to see that in many different domains." It is well known that tech giants such as Google, IBM, Apple and Amazon.com Inc. are major players in medtech, finding their way into health care through partnerships with pharma and medical device companies. One of the companies that is at the forefront of such a partnership is Merck & Co. Inc., which linked up with Amazon to harness AI for developing solutions for diabetes. The two companies announced a competition earlier this year (see box), calling on startups and individuals to develop apps that would use Amazon's Echo (commonly addressed as Alexa) voice-enabled software to help people with diabetes manage their disease. The contest recently announced five finalists that will compete for the $125,000 grand prize. Goldsmith noted that all of the trendy home-assistance products such as the Amazon Echo, Google Home and Apple's HomePod are using advanced forms of AI that are now available to the public. "It's not a far stretch to imagine even utilizing these types of devices in the on-going management of diabetes," Goldsmith said. He pointed to Abbott's LibreLinkUp mobile app, which allows caregivers to be notified every time a loved one scans their FreeStyle Libre sensor using the LibreLink app. "Imagine that same concept now being routed to say an Amazon Echo device," he said. "That caregiver that happens to be working in the kitchen that moment and that Amazon Echo device is sitting there in the kitchen, it announces out loud 'hey, your loved one just scanned their sensor and here is what the value is, maybe you should give them a call.'" He noted that tech companies such as Google, IBM, Samsung Electronics Co. Ltd. and Amazon all recognize that health care is a universal need and an economic burden in virtually every developed country where they can contribute to find solutions. He said while it may be a stretch that these companies will become health care companies themselves, he foresees more partnerships ahead. "There is plenty of evidence that we're already moving in that direction," he said. Asked whether Abbott is eyeing such a partnership, Goldsmith said the company hasn't made a public announcement. But he added "we're a good candidate for it also." While Abbott wants to leverage big data to develop solutions that can help individual patients better manage their disease, some smaller companies are using advanced algorithms to try to reverse the disease. Virta Health, an online specialty medical clinic, announced this March its uses an app-based software platform that leverages AI from information diabetics provide on their smartphones to help them – under a physician's guidance -- make better decisions on diet, medications and other health-related issues. Patients who sign up with the program use the app to upload their blood sugar levels, blood pressure, body weight and other vital information about their health. A health coach reportedly monitors the information and checks in with patients to discuss problems and offers encouragement. A doctor works behind the scenes, using the data to adjust the patient's diet, medications and addresses issues. The company's announcement on Mar. 8 coincided with a study, conducted at Indiana University, that backed their claims. In a 10-week trial of 262 people with type 2 diabetes, the findings showed that 56% of patients lowered their blood glucose to non-diabetic ranges (as measured by A1c below 6.5%), 87% reduced or completely cut their dependence on insulin and 71% achieved clinically significant weight loss of 5% with the digital program. More than 90% of initial patients completed the individualized care plan. Sami Inkinen, Virta Health's CEO, who co-founded the San Francisco-based company with two researchers, and previously launched the real-estate website Trulia, said in a company statement the firm's mission is to "reverse diabetes in 100m people by 2025." Virta is backed by $37m in funding from investors including Venrock, Allen & Co., Ev William's Obvious Ventures, Redmile Group and PayPal and Affirm founder Max Levchin's SciFi VC. But Virta isn't the only digital health startup trying to tackle diabetes. Roche made its way into the digital health arena with the recent acquisition of mySugr GMBH the diabetes management platform mySugr. Novo Nordisk Inc. announced on July 12 it teamed up with diabetes software company Glooko to launch the new Cornerstones4Care Powered by Glooko app (C4C app), which is free to patients who enroll in the program. Other medical areas in which AI is making significant strides in is radiology, heart disease and cancer. "Machine-learning is now being applied to image processing so that electronically captured radiology scans can be analyzed by software to identify tissue," Goldsmith said. 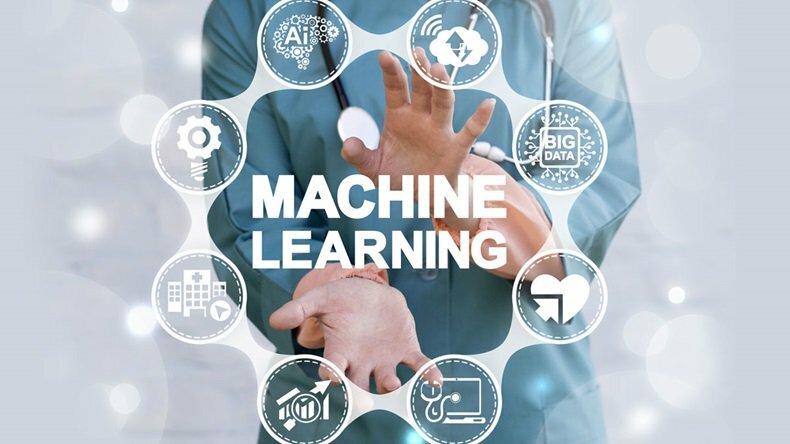 In May, GE Healthcare and Partners HealthCare System Inc. announced a 10-year partnership to integrate AI at Massachusetts General Hospital and Brigham and Women's Hospital Center for Clinical Science Data, aiming to create tools that can enhance diagnostic imaging. The initial focus will be on developing applications to improve clinician productivity and patient outcomes, GE said on May 17. Over time, the partners will apply AI to develop products for molecular pathology, genomics and population health. "The vision for the collaboration is to implement AI into every aspect of a patient journey – from admittance to discharge," GE said in the company statement. In addition, the partners also want to create an open platform that GE Healthcare, Partners and third-party developers can use to validate and share the applications with hospitals and clinics globally. On the West Coast in the US, meanwhile, Stanford researchers are also looking at deep learning tools to try to identify patterns and predict outcomes even better than the most highly trained humans or using current guidelines. In a new study that sought to compare the use of the American College of Cardiology/American Heart Association (ACC/AHA) guidelines (based on eight risk factors including age, total cholesterol, smoking, blood pressure, and diabetes) with four machine-learning algorithms to analyze data from electronic medical records of 378,256 patients in the UK to find patterns associated with cardiovascular event, the AI performed significantly better than ACC/AHA guidelines, according to the abstract published in PLOS ONE on April 4. The goal of the study was to evaluate whether machine-learning can improve accuracy of heart risk prediction within a large primary care population and which class of machine-learning algorithm has the highest accuracy prediction. With 17.5 million deaths from heart disease each year (in 2012), many doctors rely on well-established guidelines by the ACC/AHA to predict risk of heart disease, but according to the authors, a large number of people remain at risk who fail to be identified by these tools. Several risk factors that the machine-learning algorithms identified as the strongest predicters were not included in current ACC/AHA guidelines, such as COPD and severe mental illness. However, none of the algorithms considered diabetes, which is prominent in many heart disease patients and part of the ACC/AHA guidelines. The researchers also acknowledged that machine-learning has its limitations. "It is acknowledged that the "black-box" nature of machine-learning algorithms, in particular neural networks, can be difficult to interpret," researchers noted, referring to the inherent complexity in how the risk factor variables are interacting and their independent effects on the outcome. In another cardiology study, Stanford researchers from the Machine Learning Group collaborated with the heartbeat monitor company iRhythm Technologies Inc. to collect a massive dataset that they could use to develop their deep neural network model from iRhythm's wearable ECG monitor to diagnose difficult-to-diagnose arrhythmias, according to Stanford University's news service. In seven months, the researchers were able to diagnose arrhythmias as accurately as cardiologists and even outperform them in some instances, according to the university. The researchers believe that their research could someday help patients who don't have access to a cardiologist be treated and diagnosed as readily as people who are suspected of having arrhythmias and can get an ECG in a doctor' s office. In the cancer field, researchers and companies are also tapping into the power of AI to detect abnormalities and analyze results. Swiss-based Sophia Genetics SA developed an AI application that clinicians can use to analyze liquid biopsy results in the hope to diagnose cancer early (Also see "Sophia Genetics' AI Brings In More Standardization To Liquid Biopsies" - Medtech Insight, 26 Jun, 2017.). Sophia is linked up with 305 hospitals in more than 50 countries to use the company's technology to analyze circulating tumor DNA (ctDNA), contained in patients' liquid samples including blood, urine and cerebral spinal fluid. As the company learns from thousands of patients' genetic profiles, clinicians' knowledge improves, which should translate into better diagnosis and treatment. Another company, San Franciso-based Enlitic Inc. uses AI deep-learning systems to scan medical images to help diagnose cancer. Liquid biopsy will also be one of the hot areas for discussion at the 69th AACC Annual Scientific Meeting & Clinical Lab Expo, which will be held in San Diego from July 30-Aug. 3, 2017 in San Diego. As with any new technology, AI needs to overcome limits. During the recent Digital Health Summit in San Diego a panel entitled, "How Artificial Intelligence is Transforming All Dimensions of Healthcare," discussed some of the challenges that they are facing at their companies in applying AI. Gini Deshpande, CEO of Palo Alto, California-based NuMedii Inc. and Michael Nova, CIO and co-founder of San Diego -based Pathway Genomics Corp. told the audience their companies are both leveraging machine-learning and AI, though in very different capacities. Deshpande, a molecular biologist by training, said NuMedii applies AI and machine-learning coupled with big data technology to discover and advance effective new drug candidates and biomarkers predictive of efficacy for subsets of patients in rare diseases such as inflammatory disease and oncology. "Big data and AI can be like a wingman for helping scientists and clinicians get better at what they do," Deshpande told the audience. "Big data and AI can be like a wingman for helping scientists and clinicians get better at what they do," Gini Deshpande of NuMedii Inc. said. Meanwhile, at Pathway Genomics, which offers digital healthcare and genetic testing, Nova said that AI is being applied as the "consumerized buddy" that "grinds" through people's genetic information and precision clinical information on a daily basis and offers recommendations. The company's program with IBM Watson is a smartphone app that merges AI and deep learning with personalized genetic information. The app provides users with personalized health and wellness information based on their health history. Both agreed that machine-learning is fundamentally different from creating software, in that it learns from training data rather than being programmed for a particular outcome, and still requires human input. "Artificial intelligence, the state of the art today, at least in our sector is still very much dependent on human input," said Deshpande. "Train a computer system with data and say this is a good pattern and say this is a bad pattern and then let the system go … but at the end of the day, you're still depending on training the system with a positive data set or a pattern of some sort." While machines are very good at looking at complex problems to discover certain patterns, a major challenge for researchers is to find good reliable, quality training data sets that they can feel comfortable with is the "truth," she said. Machines deal with statistical truth rather than literal truth, which can make it difficult to verify that the answers are correct. "The other challenge is we don't have all the unknown variables," she said. "We don't know all of the components that come into play in terms of how a disease manifests or how a disease progresses. We start to understand it, but there are still a lot of unknowns. You can leverage IT to help find patterns faster and to identify connections faster. At the end of the day, you still need a human expert to validate what's coming out of the computational technology to say is this real." You can leverage IT to help find patterns faster and to identify connections faster. At the end of the day, you still need a human expert to validate what's coming out of the computational technology to say is this real." She said AI is essentially "a means to an end" and a "tool in our toolkit we can use" to improve the predictability of their technology. The hope is that as the company is using more data and datasets, predictability will improve. "So, when we predict that a certain drug would modulate a certain disease, we have more confidence in that. But at the end of the day, we still have to test it, so that's where you see the hybrid approach where you're using technology to speed up the discovery process," she said. With millions of dollars at stake in drug development, researchers need to exercise caution. Nova agreed with Deshpande that finding "high-quality data" remains a challenge, adding that there's all kinds of data out there. He noted that every human over a lifetime generates 3-4 terabytes of health care data. Most of that data is lab work and a lot of junk, given that health care data can become irrelevant or obsolete in just a few years. This makes extracting data that is relevant to train algorithms a very difficult task. However, he noted, that companies can also take advantage of existing data. He gave the example of certain governments in Latin American countries, which have accumulated some 25 years' worth of data on type 2 diabetes. He said type 2 diabetes is a major problem in Latin America. "We try to figure out what is accurate before using machine-learning," Nova pointed out. He explained that this is done via "classification" where algorithms are trained to put information into different buckets. This basically entails feeding the machine lots of information and then train the system to come up with the correct answer. Then there are the privacy and regulatory concerns. With the success of IoT (Internet of Things) where health care companies can use commercially available devices such as smartphones, wearable technology and other connected devices, security and privacy protection becomes a real issue. On the regulatory side, Tesla and SapceX CEO Elon Musk recently made headlines, calling on the government to consider regulations for AI. He feels that AI "poses a fundamental risk for human civilization." Musk reportedly made these comments during the National Governors Association's meeting in Providence, R.I. Finally, given that AI is still in its infancy, with all of its challenges, some investors may also consider it too much of a risk to bet on the technology. Edward Kliphuis, investment director in the New Business Fund in digital health and solutions at Merck Ventures BV, Amsterdam, told Medtech Insight that AI and machine-learning are definitely on his radar for investments. "We've come to the realization that a lot of the companies in which you invest in is not the actual machine-learning part, it's the datasets," Kliphuis said. "What you actually invest in is the proprietary data or a trained algorithm that could give you, for example, a headstart in the market," Kliphuis explained. "I think that even specialists in the field do not understand yet what exactly happens in these algorithms that then allow it to draw these conclusions – and that's the scary part," said Edward Kliphuis, Merck Ventures BV. Merck is looking at companies, but he said AI remains a "vague" area. "It comes down to the data and the team (that develops the algorithms) more than the engine," Kliphuis said. "I think that even specialists in the field do not understand yet what exactly happens in these algorithms that then allow it to draw these conclusions – and that's the scary part." Deshpande agreed that even in the health care industry where AI is being leveraged, skepticism prevails with data analysts and scientists not sitting at the same table. "We need a couple of really good successes to show how it's done for people to say 'yes, I can do this,'" she said. "IBM has been doing this for six-plus years and I haven’t seen one success story we can show the world." "We need a couple of really good successes to show how it's done for people to say 'yes, I can do this,'" she said. "IBM has been doing this for 6-plus years and I haven’t seen one success story we can show the world," Deshpande said. Yet, everyone agrees that AI and machine-learning is the wave of the future, leaving pharmaceutical companies no choice but to adopt these technologies. "The pharma industry tends to be more risk-averse," Nova said. Meanwhile, tech companies such as Facebook, Microsoft and Google that have long embraced AI technologies are snapping up the best talent. "They know they can win in the pharmaceutical business, if they apply this technology and that's what they're going to do," Nova said. "I wouldn't be surprised if Google ends up a partial pharmaceutical company 10 years from now, because they'll have a lot of horsepower." Goldsmith said that in the area of diabetes, there have been meaningful milestones, such as the development of glucose sensors and insulin pumps, but as companies are getting better in leveraging AI and machine-learning, the pace of innovation will only get faster. "We've seen a pace of innovation in the last five plus years that is unprecedented in this space," he said. "As we come up with more advanced algorithms that deliver the promise of personalized medicine, we honor and respect the personal privacy requirements, but we are potentially able to offer the personalized treatment recommendations on demand. That's the holy grail."